Richard Chen See danced for the Paul Taylor Dance Company for fifteen years (1993 – 2008), originating and assuming roles from the repertory spanning more than fifty years. Mr. Chen See has been authorized by Paul Taylor to stage/rehearse Mr. Taylor’s dances on companies and educational institutions around the USA and the world, including Taylor 2, the New Zealand School of Dance (as a Fulbright Specialist), Rambert Dance Company (UK) and American Ballet Theater. He has also taught technique classes and Paul Taylor based projects at the Taylor School (1994 – present) and for the American Dance Festival (2010, 2011), New Orleans Ballet Association summer intensive (2012). A Jamaican by birth, where his early training was in ballet, modern and Afro-Caribbean folk forms, Mr. Chen See began his professional career in 1978 dancing with companies as varied as Northern Ballet Theatre (England), Oakland Ballet (USA), ODC/San Francisco (USA) and various independent productions in classical, contemporary and experimental disciplines before joining Paul Taylor Dance Company. Dance should be fun and challenging for your body, mind and imagination. 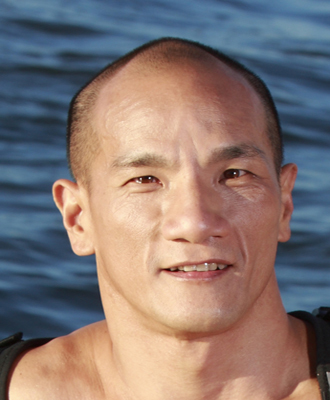 Richard Chen See, is best known for performing and staging Paul Taylor’s dances. However, Chen See’s background in dance ranges from Afro-Caribbean to ballet to contact improvisation, and his class will draw on a variety of modern and classical technique influences. This class will provide a safe environment to explore your movement potential with a variety of approaches to develop and enhance your technical and performance skills. Starting with some basic floorwork, class will follow a careful progression to set you up for more dynamic combinations that are meant to introduce or expand your range of expression beyond any one “style” of dance.